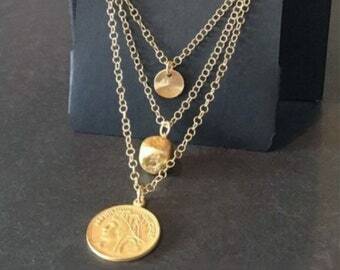 This gold coin necklace set is an updated classic. And really pretty! (😉) This set consists of two separate necklaces, so mixing and matching is the name of the game. The shorter necklace has an off center matte gold plated disk with a tiny cz. (You can certainly wear it centered if that’s what you prefer. 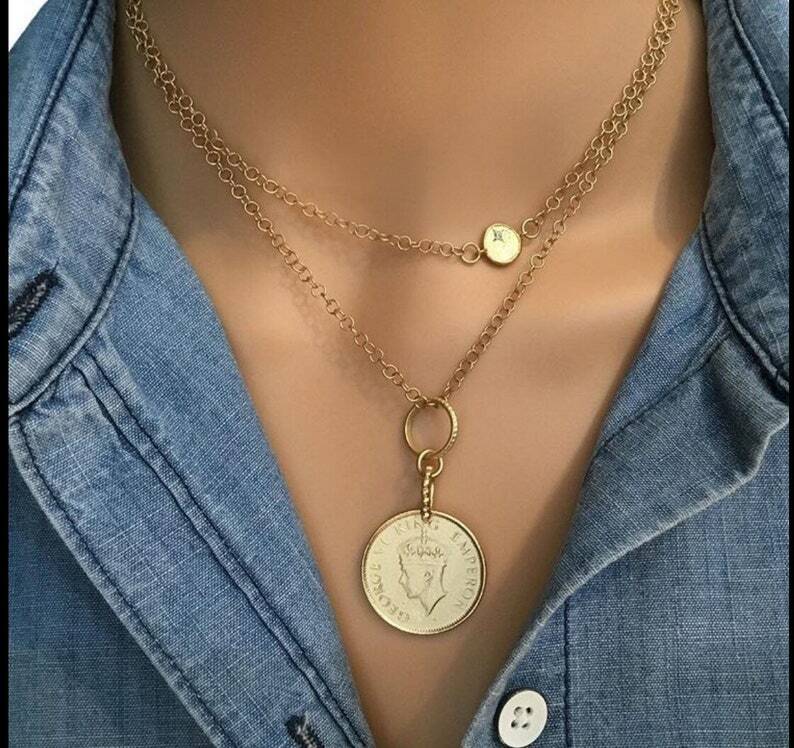 )The longer necklace has a matte gold plated vintage coin that is just gorgeous! Wear the shorter necklace alone for a delicate look. Add the gold coin necklace for something a bit bolder. This is a timeless set, that would make a wonderful gift for fashionistas of any age. And, the set will come beautifully boxed and ready to gift. 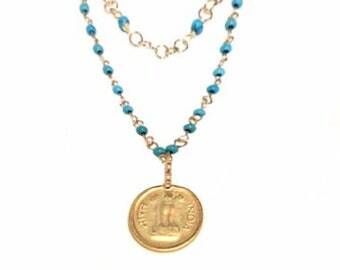 Note: This necklace is crafted with an actual vintage coin that has been beautifully plated. Due to the natural aging of vintage coins, it may have minor imperfections consistent with its age. LOOKING FOR A LAYERED NECKLACE SET? This necklace is so cute and super versatile. Highly recommend having it in your accessory arsenal. the necklace is gorgeous. i got it for my mom for christmas in hopes it would be a similar version of a coin necklace kelly ripa wears, and it exceeded expectations. love it so much.